Pi Kappa Alpha fraternity was established at the University of Virginia in 1868. It is a large North American Greek letter college fraternity that has more than 220 chapters, a lot of colonies, 250,000 lifetime initiates and 14,000 undergraduate members. 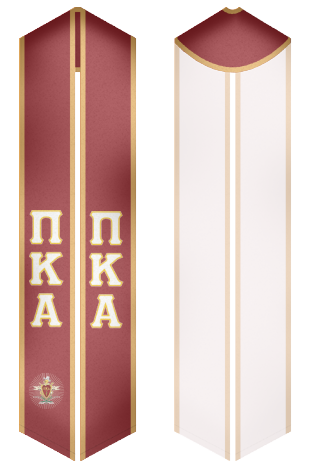 Initially, Pi Kappa Alpha was a whites-only Southern organization, but later the fraternity removed racial restrictions and became a national fraternity. 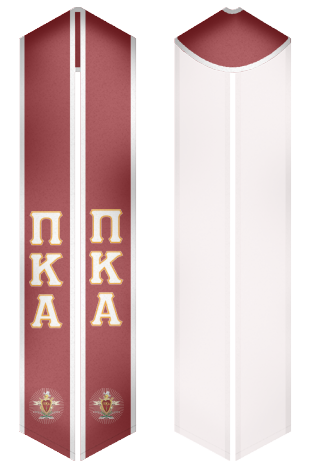 Pi Kappa Alpha fraternity is proud of its members, who are athletes, gentlemen, leaders and scholars. The mission of the fraternity is to help men develop their integrity, intellect and high moral character. 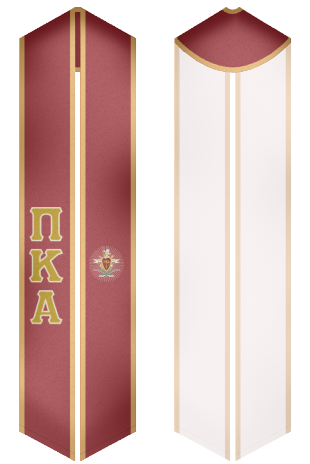 Custom Sash provides the beautiful collection of sashes for members of Pi Kappa Alpha fraternity.